Apart from the special workshops we organize around the world (see other pages of this website), we can offer specific workshops for groups: companies, public organizations or schools. Contact us directly so we can set up something relevant for what you need and your budget. We offer discovery workshops and Keynote speeches covering biomimicry, circular economy and design thinking. Depending on your needs we can focus on one specific topic or mix them together. It requires a minimum of 2 hours to run a memorable and impactful workshop. Keynote speeches can be an hour or even less. These short sessions are great if you quickly want to introduce the topic to an audience. Contact us directly to discuss your project and budget. 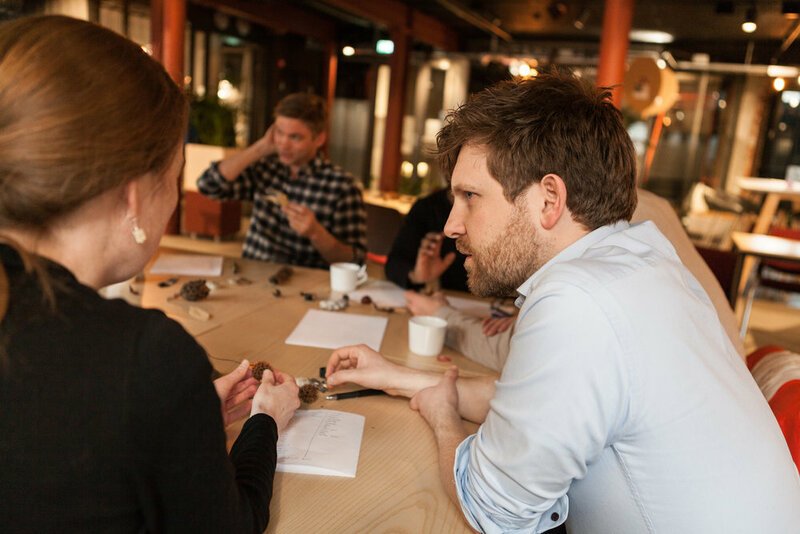 We offer immersion workshops and trainings covering biomimicry, circular economy and design thinking. Depending on your location and possibilities we can set up a specific workshop close to your city. In everything we do we like to mix theory and practice. This is why you will experience dedicated tools and exercises during these sessions. These sessions are great if you want to learn a methodology and practice useful tools. Also it’s great for meaningful team buildings. Up to 15 people. Expect to bring your team outside. We offer specific learning expeditions and design sprints for you and your team. Depending on your project we can set up something around you or in a relevant ecosystem in the world. you want to bring nature to your next team building.